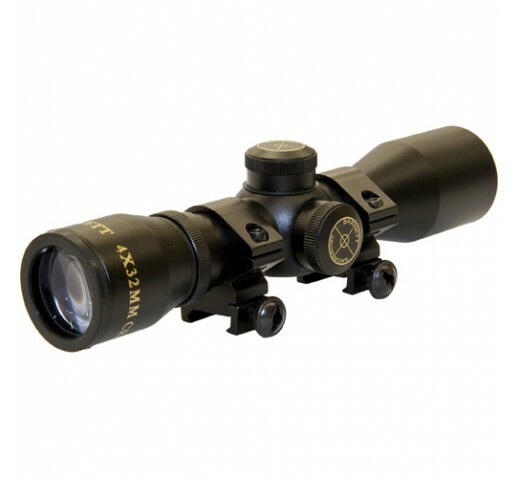 Barnett's Multi-Reticle Crossbow Scope is a programmed five-point, multi-reticle crosshair system which enables quick aim at targets and distances frequently encountered. Compatible with all full-sized crossbows. Water resistant and shockproof and includes .22 style mounting rings.